2018 Summer Camp runs July 2nd-27th. OPEN FOR ENROLLMENT NOW. Come and discover your creative self in a fun-loving way with professional Artists Beth Newman Maguire, Jacqueline Keane and assistant Mary Curtis. Activities: Drawing, Painting, Sculpture, Printing, Clay Modeling, Plaster Casting, Willow Weaving, Photography, Painting a Mural, Fun and Games, Nature Trail and much more. This course is specially aimed at students hoping to go to art college in the following year to 2 years. Advice on CAO Applications, various course choices and Art Colleges given. 2018 Course Runs June 6th-30th. People of all ages and abilities find themselves loving the pottery painting experience and the opportunity to create something to be proud of, mark a special birthday, engagement or wedding, perhaps you are on holiday and need to experience something different. We provide a relaxing yet inspired environment in the heart of the countryside. Create a gift to be treasured or simply relax, unwind and most of all have fun! 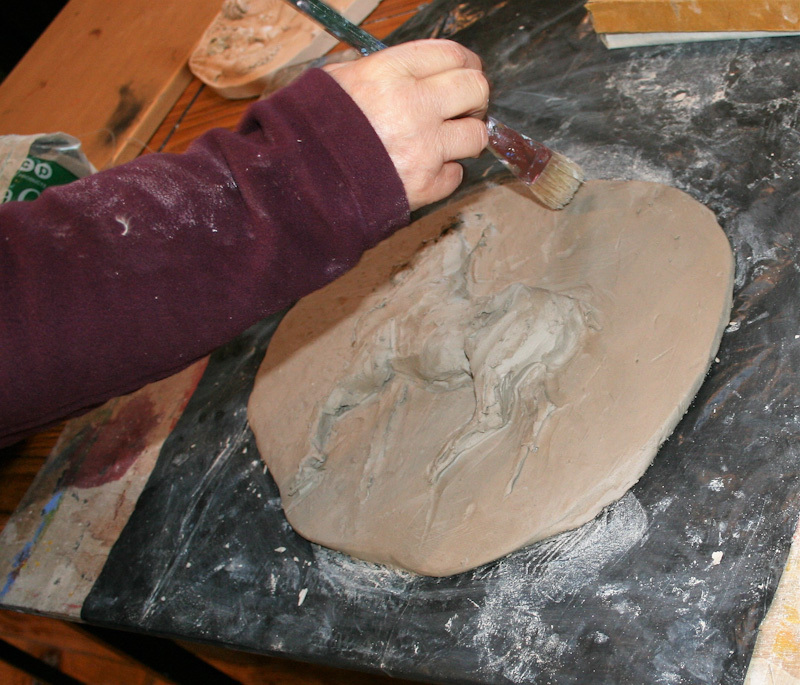 The studio offers regular Drawing, Painting and Sculpture classes with three terms running per year for 8-10 weeks. Grinds are available on request for Junior Cert and Leaving Cert students. All aspects of curriculum covered. Mediums include: Oils, Watercolours, Acrylics & Pastels. Mornings from 10.00am to 12.00pm. Mediums Include: Pencils, Graphite, Charcoal, Pen & Ink. Still Life Drawing and Life Drawing with a live model. Selecting from: Clay Modeling, Plaster Casting, Mould Making, Wire Forming, Ceramics and for the more advanced, Bronze Casting, Patination and finishing. Friday September 8th, from 10.00am to 3.00pm. Saturday 10.00am to 5.00pm & Sunday 11.30am to 4.00pm. 2nd-3rd September, 4th-5th November, 24th-25th February. Looking for somewhere different to bring your students for a morning or afternoon? Tearmann Artist Studios could be just the place to bring them. Where they will be given the opportunity to see a 300 year old original Thatched Cottage complete with half door and inglenook. Visit the Gallery and Studios and perhaps get involved to creating an art piece or visiting St. Kieran’s Well. Want to visit a traditional Thatched Cottage with all its charm set in the countryside of Castlekeernan, Carnaross, Kells, Co. Meath, adjacent to St. Kiernan’s Well? Sculptor Betty Newman-Maguire will you a guided tour of her Cottage, Studios and Gallery and tell you a little about how she restored it in year 2000.